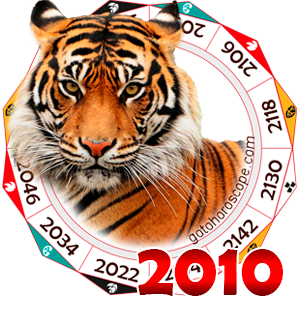 Free 2010 horoscope for Sagittarius, a balancing horoscope for 2010 year of the Tiger, accepting differences and work together. 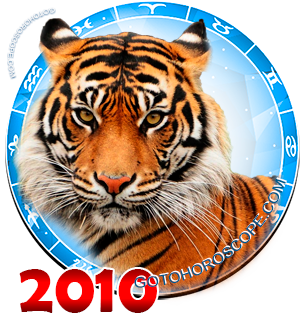 In 2010 year of the Tiger people born under the zodiac sign Sagittarius may expect an excellent year! Don't mind the conflict of Saturn and Neptune because Jupiter in Sagittarius' horoscope 2010 will be patronizing your sign all the year long. 2010 is the year of the white metal Tiger and is a perfect time for self-education in any field. This 2010 year Sagittarius will be inclined to scrutinizing the material and will be seriously interested in philosophy and religion. Throughout the 2010 year of the Tiger you may expect some glimpses of clairvoyance, because of the ability to see the roots of any situation. But do not set off for overseas trips in 2010 year - difficulties, documentation confusion and conflicts with local authorities are quite probable. In the second half of the 2010 year of white Tiger Sagittarius should also avoid contacts with psychics, sorcerers, and fortune-tellers. Sagittarius' career will be on its rise - planets' disposition in 2010 horoscope will provide a huge energetic splash. In 2010 year of the white Tiger you will be confident in your abilities; you will feel an insatiable strive for activity. Late August and early September 2010 are especially favorable for career growth. Everything you do will turn out well. Even the leaving for a different city with tempting career perspectives is quite probable during second half of the 2010 year of the Tiger. Two weeks in mid-October will mark the only period of 2010 year when business luck may fail you. The breaking of important negotiations and bargains may be characteristic of this period of the year of the Tiger. This time Sagittarius may even risk losing a solid sum because of your thoughtlessness. Your private life in 2010 year will be happy, on the whole, but not absolutely cloudless. 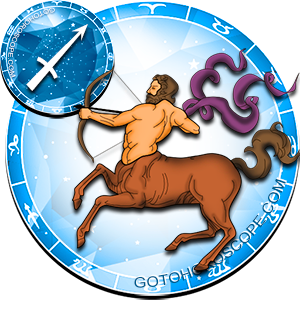 From August to December 2010 Sagittarius should be cautious in establishing new romantic relationship - this may influence the future negatively. In late summer the conflict of Mars and Jupiter in Sagittarius' horoscope 2010 may cause some quarrels and arguments. Long-standing relationship is going through difficult times - you may find that love has gone, and uncertainty is ahead. But do not draw any hasty conclusions - things will settle down by November 2010, and you will enter a new phase of relationship with your soul mate.